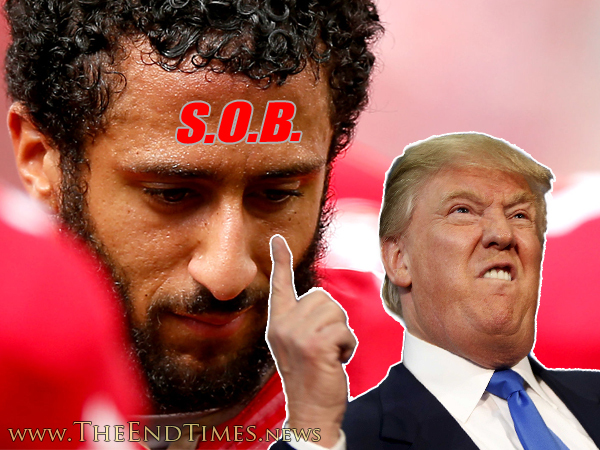 NEW YORK, NEW YORK – In a desperate attempt to appease President Trump and the millions of Americans he’s inspired to push for compulsory adoration of the U.S. flag, the National Football League (NFL) has agreed to brand the foreheads of all players deemed unpatriotic with the letters S, O, and B. While the initial response to Trump’s S.O.B. comment were almost universally negative, with ratings for NFL games having dropped substantially since the controversy erupted, the league is now suddenly open to any suggestions that the President has to offer.